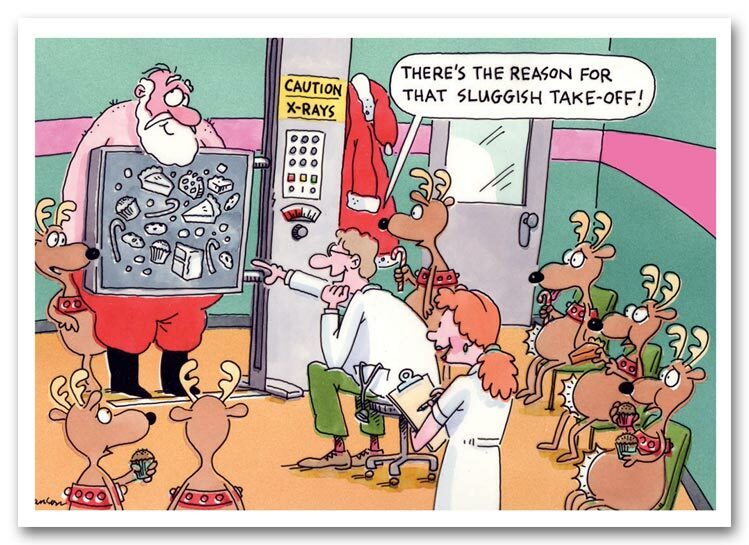 A festive trio greets the joyous season. 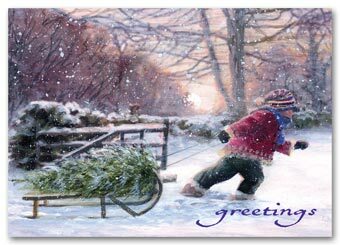 Printed on white gloss stock.A convenient way to send warm wishes to your customers this holiday season, while maximizing your advertising dollars with this affordable personalized holiday post card!You choose your verse, plus two lines of personalization! 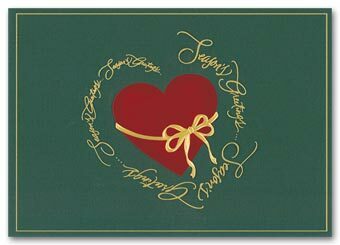 Featuring embossed gold foil ribbon and greetings, and red foil heart.Personalized with your company's message this custom printed holiday card offers several free options at our lowest prices. They're a smart way to promote your business while you share holiday greetings!These full colored imagery cards provide the added elegance of foil or embossing. As well as a touch of personalization with your companies messages. 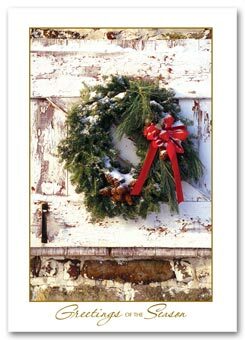 Diagnosis: laughterSend warm holiday greetings with this simply elegant, budget friendly card!These cards feature personalization with your company's messages, quality paper stock and rich, full-color imagery. 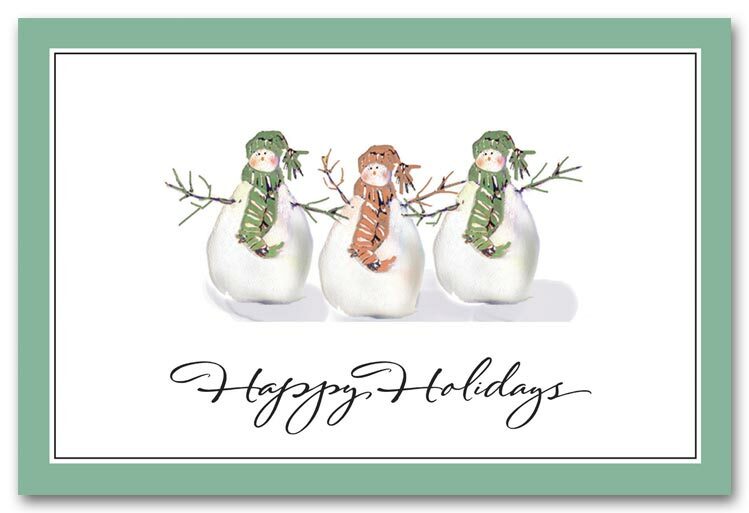 Silver foil greeting and border on gloss stock.Personalized with your company's message this custom printed holiday card offers several free options at our lowest prices. 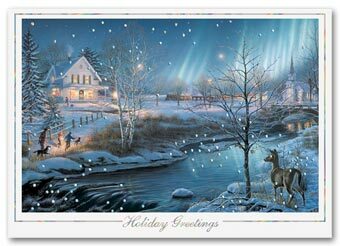 They're a smart way to promote your business while you share holiday greetings!These full colored imagery cards provide the added elegance of foil or embossing. As well as a touch of personalization with your companies messages. 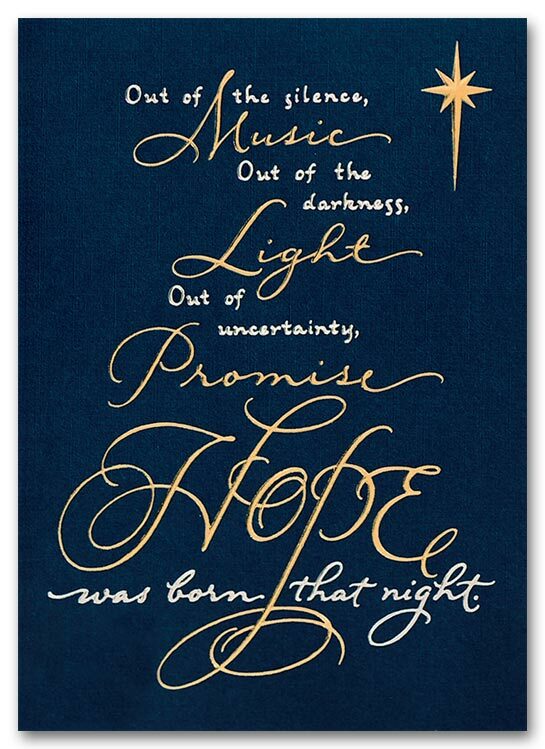 Front features embossed gold foil star, and embossed gold and silver foil text. Printed on navy linen stock.With the right mix of elegance & affordability, this custom printed card conveys your best wishes to your most valued customers! This card is an outstanding value, sure to create a lasting impression!These cards are created on high quality superior paper stock with metallic foils, deeply embossed holiday imagery and custom foil imprints. 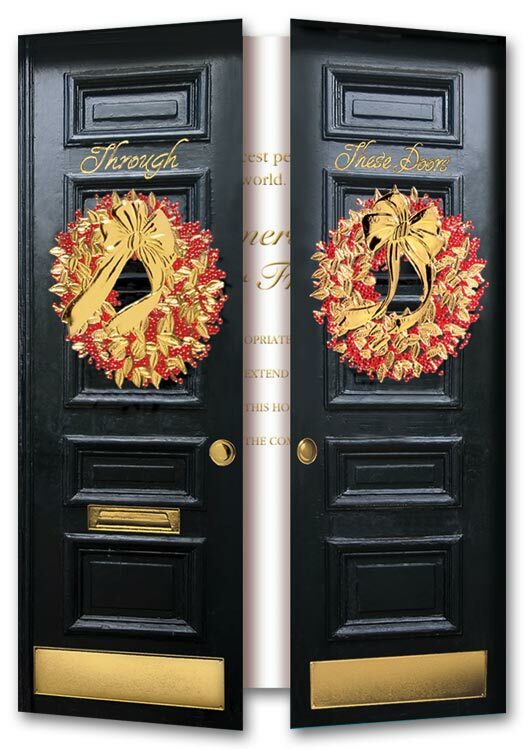 Prismatic gold foil greeting and snowflakes on gloss stock.Personalized with your company's message this custom printed holiday card offers several free options at our lowest prices. They're a smart way to promote your business while you share holiday greetings!These full colored imagery cards provide the added elegance of foil or embossing. As well as a touch of personalization with your companies messages. 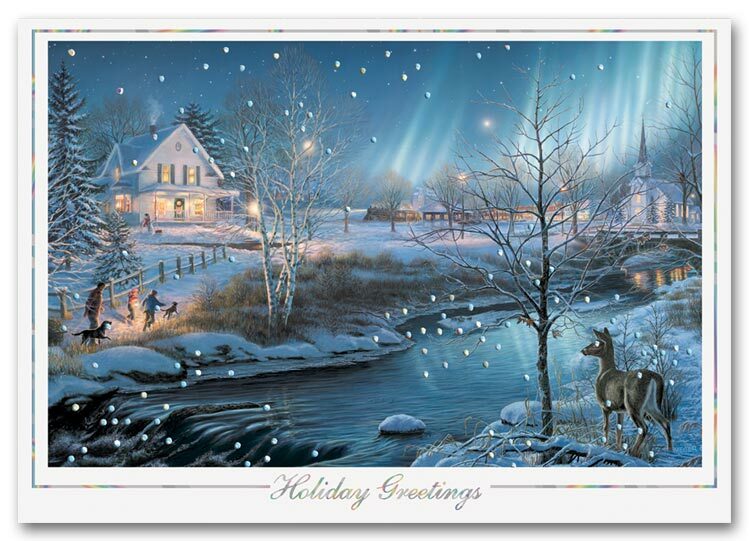 Prismatic silver foil greeting and snowflakes on gloss stock.Personalized with your company's message this custom printed holiday card offers several free options at our lowest prices. 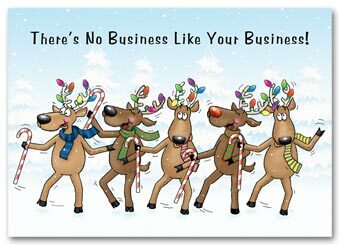 They're a smart way to promote your business while you share holiday greetings!These full colored imagery cards provide the added elegance of foil or embossing. As well as a touch of personalization with your companies messages. 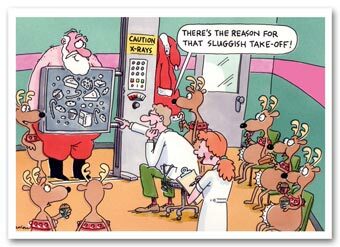 Rudolph and friends put on a show. Printed on white matte gloss stock.Send warm holiday greetings with this simply elegant, budget friendly card!These cards feature personalization with your company's messages, quality paper stock and rich, full-color imagery. 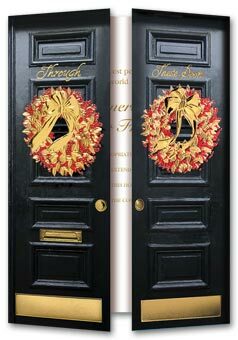 Gatefold front features embossed gold foil wreaths, bows, greeting and door accents, plus embossed red foil berries. 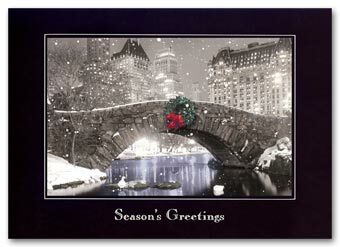 Printed on white gloss stock.Personalized with your company's message this custom printed holiday card offers several free options at our lowest prices. 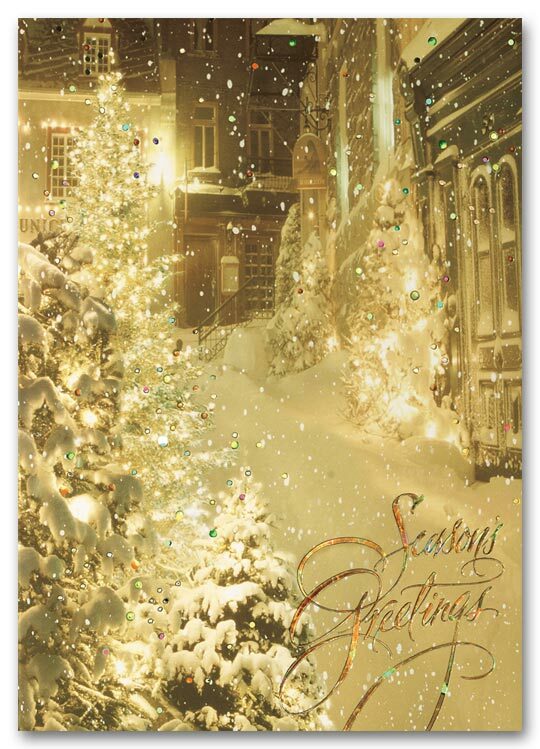 They're a smart way to promote your business while you share holiday greetings!These full colored imagery cards provide the added elegance of foil or embossing. As well as a touch of personalization with your companies messages. 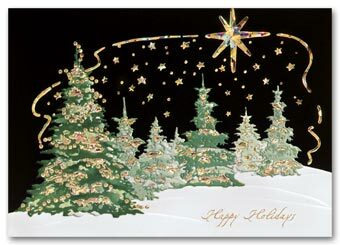 Front features prismatic embossed gold foil stars, accents and greeting, plus embossed trees. Printed on white gloss stock.Personalized with your company's message this custom printed holiday card offers several free options at our lowest prices. They're a smart way to promote your business while you share holiday greetings!These full colored imagery cards provide the added elegance of foil or embossing. As well as a touch of personalization with your companies messages. 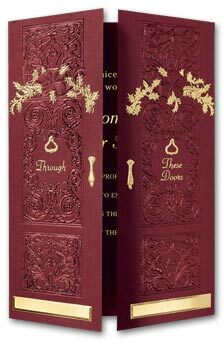 Gatefold front features embossed gold and burgundy foil accents, and gold foil greeting. Printed on burgundy linen stock.With the right mix of elegance & affordability, this custom printed card conveys your best wishes to your most valued customers! 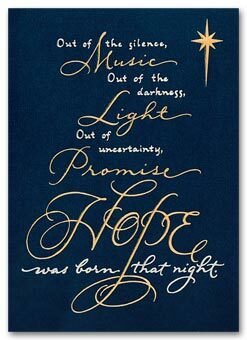 This card is an outstanding value, sure to create a lasting impression!These cards are created on high quality superior paper stock with metallic foils, deeply embossed holiday imagery and custom foil imprints. 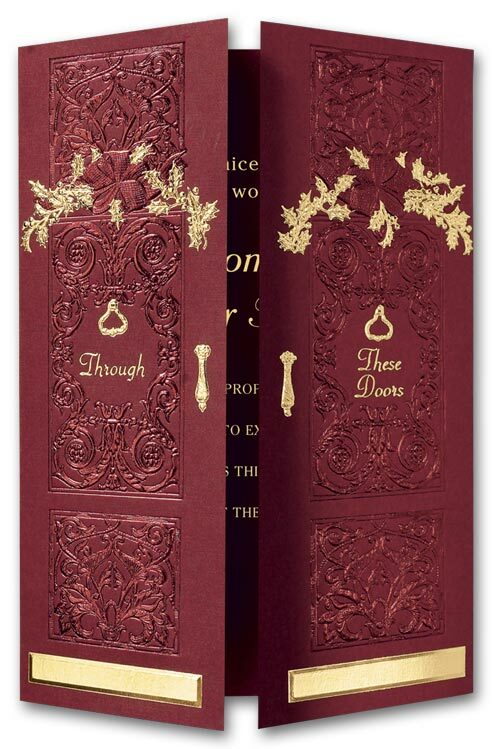 Front features embossed gold foil trees, border and greeting. 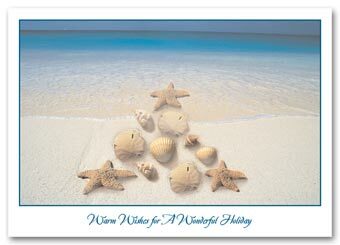 Printed on white gloss stock.Personalized with your company's message this custom printed holiday card offers several free options at our lowest prices. 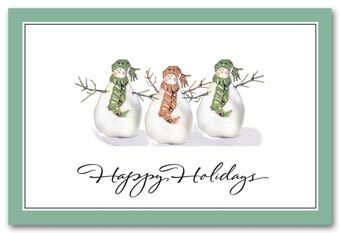 They're a smart way to promote your business while you share holiday greetings!These full colored imagery cards provide the added elegance of foil or embossing. As well as a touch of personalization with your companies messages. Celebrating the timeless traditions. Printed on white gloss stock.Send warm holiday greetings with this simply elegant, budget friendly card!These cards feature personalization with your company's messages, quality paper stock and rich, full-color imagery. A beachcombers Christmas celebration. 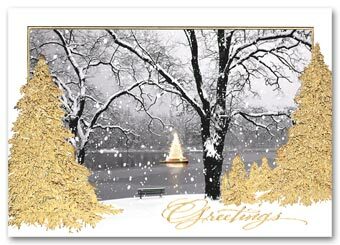 Printed on white gloss stock.Send warm holiday greetings with this simply elegant, budget friendly card!These cards feature personalization with your company's messages, quality paper stock and rich, full-color imagery. A storybook scene of a late winter's afternoon. Printed on white gloss stock.Send warm holiday greetings with this simply elegant, budget friendly card!These cards feature personalization with your company's messages, quality paper stock and rich, full-color imagery.